A timeless classic! 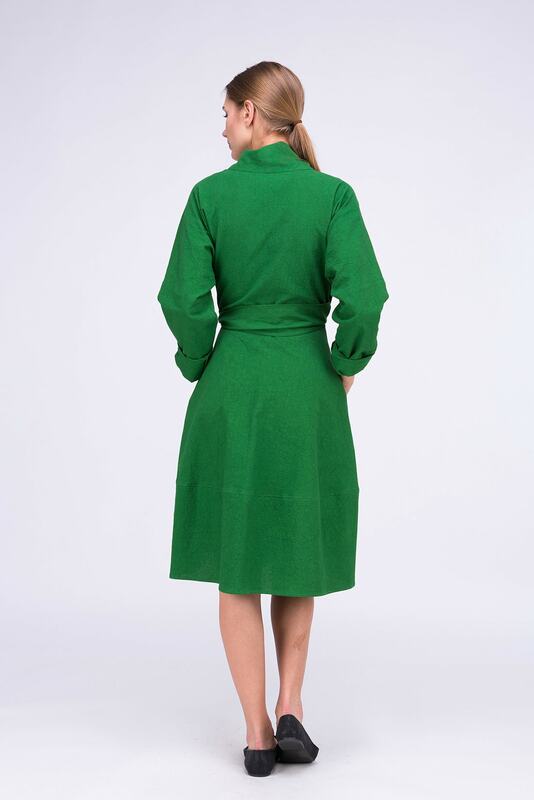 Cotton wrap dress with shawl collar, underlined at the waist by a long belt, which can be tied at will. Can be wear, in a dress, or open, as a coat.